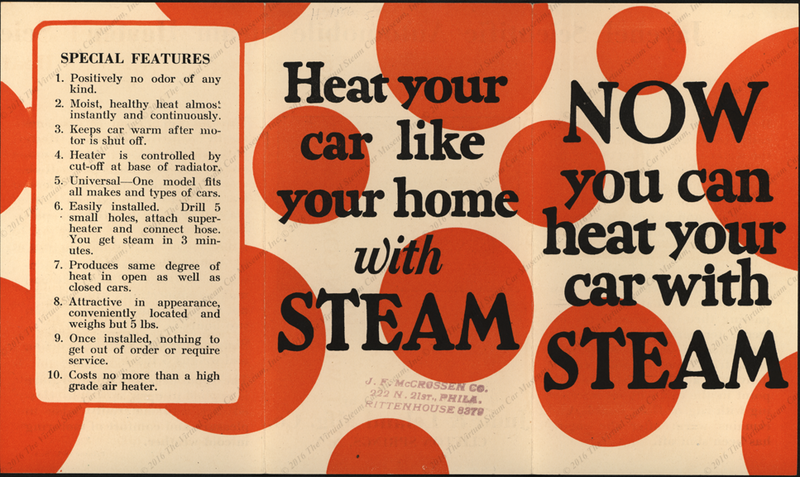 The Judd and Leland Manufacturing Company sold a steam heating aparatus for automobiles. 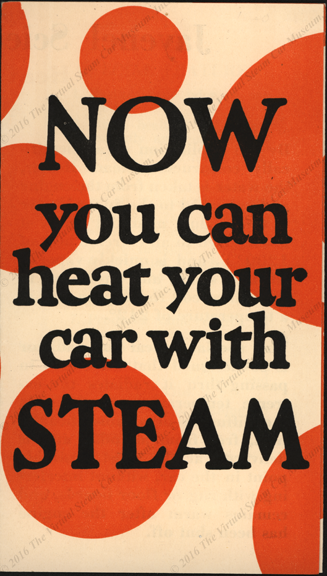 This tri-fold trade Catalogue promoted a method of heating the back seat of a conventional automobile by tapping into the engine's water cooling system. 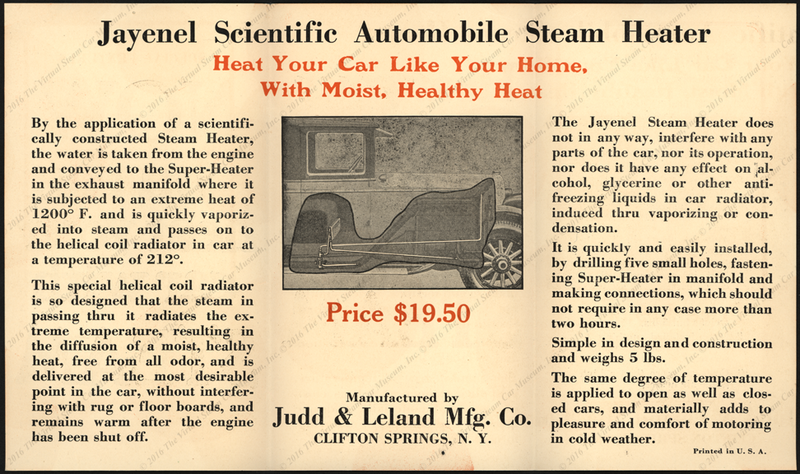 Contact us if you have additional information about the Judd and Leland Manufacturing Company or if you have questions.